Is Macy’s, Inc. (M) A Good Stock To Buy? Is Macy’s, Inc. (NYSE:M) a buy right now? Money managers are taking an optimistic view. The number of long hedge fund bets rose by 1 lately. Our calculations also showed that M isn’t among the 30 most popular stocks among hedge funds. M was in 30 hedge funds’ portfolios at the end of the fourth quarter of 2018. 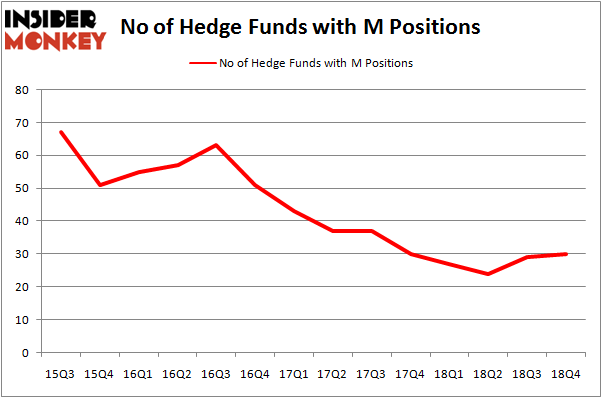 There were 29 hedge funds in our database with M positions at the end of the previous quarter. We’re going to go over the recent hedge fund action surrounding Macy’s, Inc. (NYSE:M). How are hedge funds trading Macy’s, Inc. (NYSE:M)? At Q4’s end, a total of 30 of the hedge funds tracked by Insider Monkey were long this stock, a change of 3% from the second quarter of 2018. By comparison, 27 hedge funds held shares or bullish call options in M a year ago. With hedgies’ sentiment swirling, there exists an “upper tier” of notable hedge fund managers who were upping their stakes considerably (or already accumulated large positions). Among these funds, AQR Capital Management held the most valuable stake in Macy’s, Inc. (NYSE:M), which was worth $512.7 million at the end of the third quarter. On the second spot was Two Sigma Advisors which amassed $107.8 million worth of shares. Moreover, Citadel Investment Group, Impala Asset Management, and Arrowstreet Capital were also bullish on Macy’s, Inc. (NYSE:M), allocating a large percentage of their portfolios to this stock. Now, some big names were breaking ground themselves. Citadel Investment Group, managed by Ken Griffin, initiated the largest position in Macy’s, Inc. (NYSE:M). Citadel Investment Group had $66.3 million invested in the company at the end of the quarter. Gregg Moskowitz’s Interval Partners also initiated a $11.9 million position during the quarter. 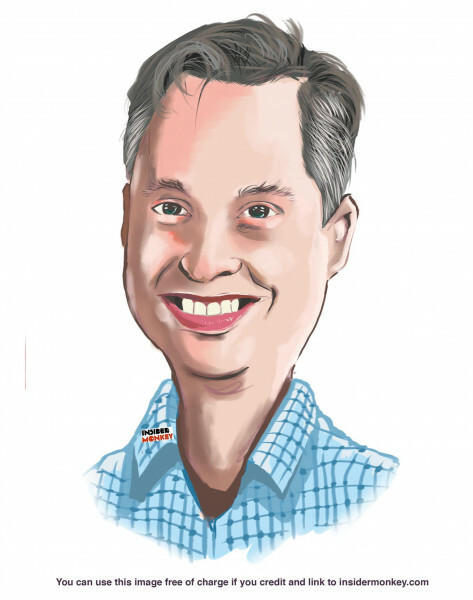 The other funds with new positions in the stock are Anthony Joseph Vaccarino’s North Fourth Asset Management, Peter S. Stamos’s Stamos Capital, and John Brandmeyer’s Cognios Capital. Let’s check out hedge fund activity in other stocks similar to Macy’s, Inc. (NYSE:M). We will take a look at AGNC Investment Corp. (NASDAQ:AGNC), Molson Coors Brewing Company (NYSE:TAP), Seattle Genetics, Inc. (NASDAQ:SGEN), and Steris Plc (NYSE:STE). This group of stocks’ market caps match M’s market cap. As you can see these stocks had an average of 21.75 hedge funds with bullish positions and the average amount invested in these stocks was $1080 million. That figure was $857 million in M’s case. Molson Coors Brewing Company (NYSE:TAP) is the most popular stock in this table. On the other hand Seattle Genetics, Inc. (NASDAQ:SGEN) is the least popular one with only 16 bullish hedge fund positions. Compared to these stocks Macy’s, Inc. (NYSE:M) is more popular among hedge funds though hedge fund sentiment towards the stock is still near its all time lows. Our calculations showed that top 15 most popular stocks among hedge funds returned 21.3% through April 8th and outperformed the S&P 500 ETF (SPY) by more than 5 percentage points. Unfortunately Macy’s wasn’t in this group. Hedge funds that bet on Macy’s were disappointed as the stock lost 12.5% and underperformed the market. If you are interested in investing in large cap stocks, you should check out the top 15 hedge fund stocks as 12 of these outperformed the market.